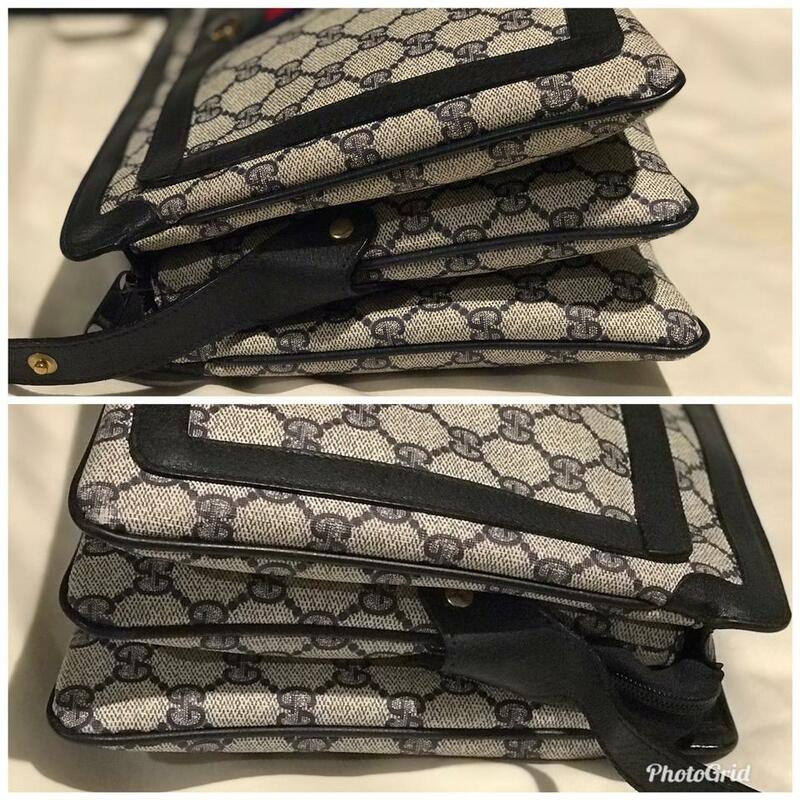 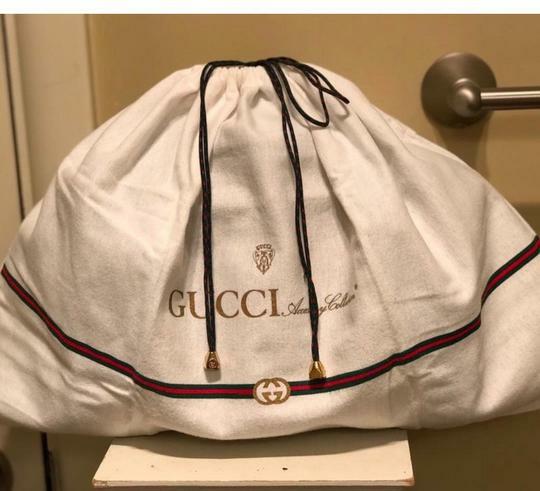 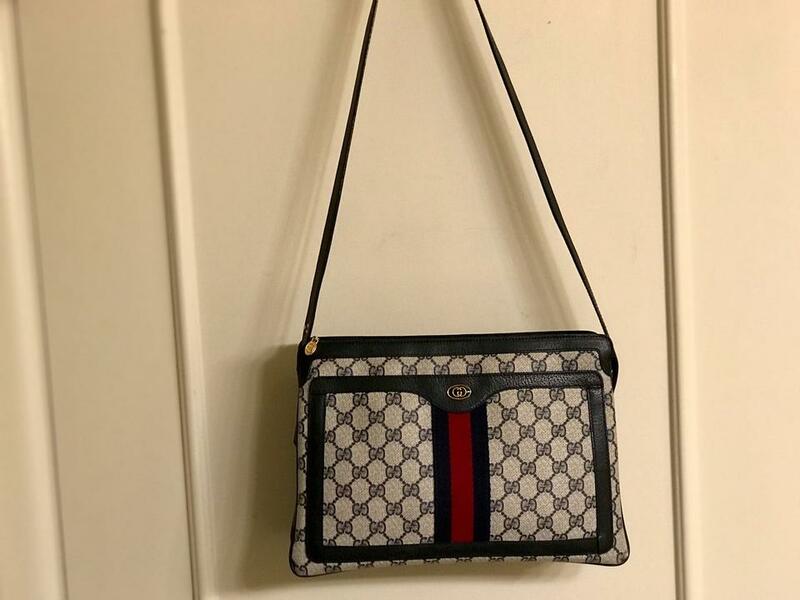 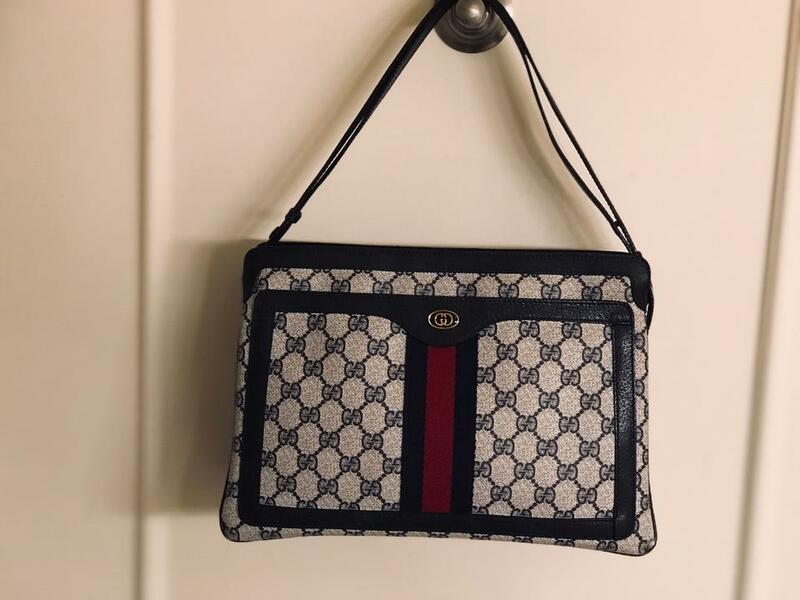 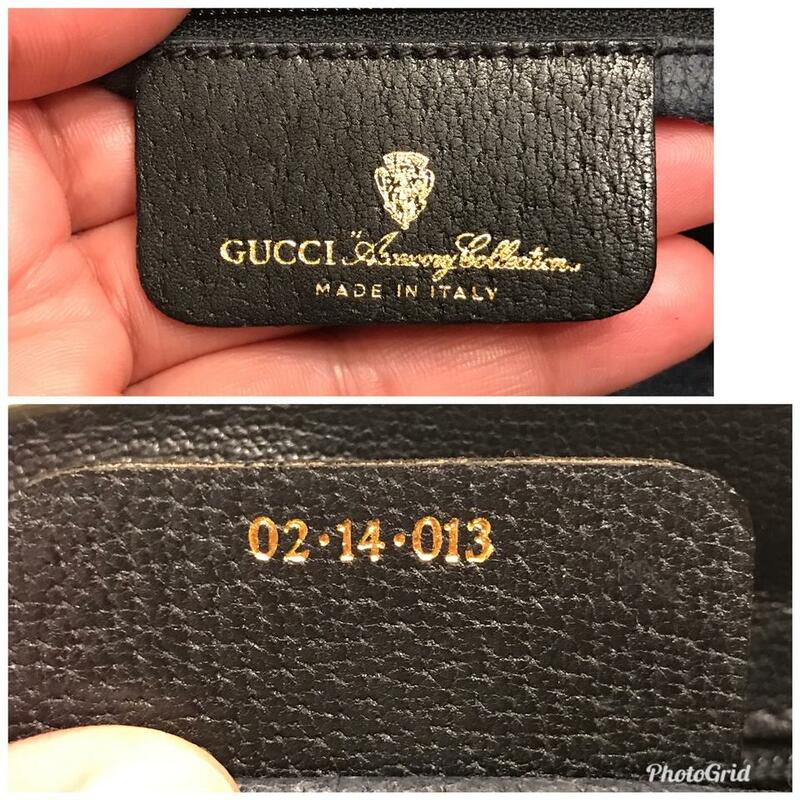 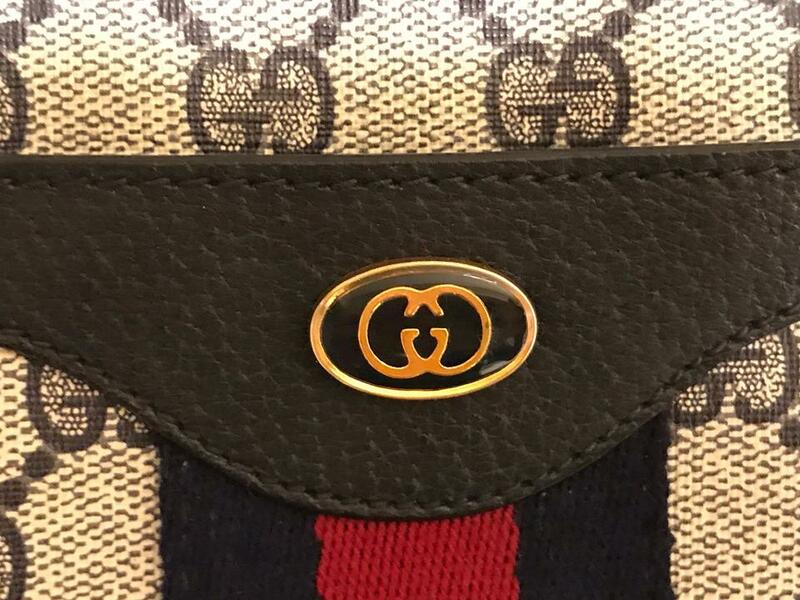 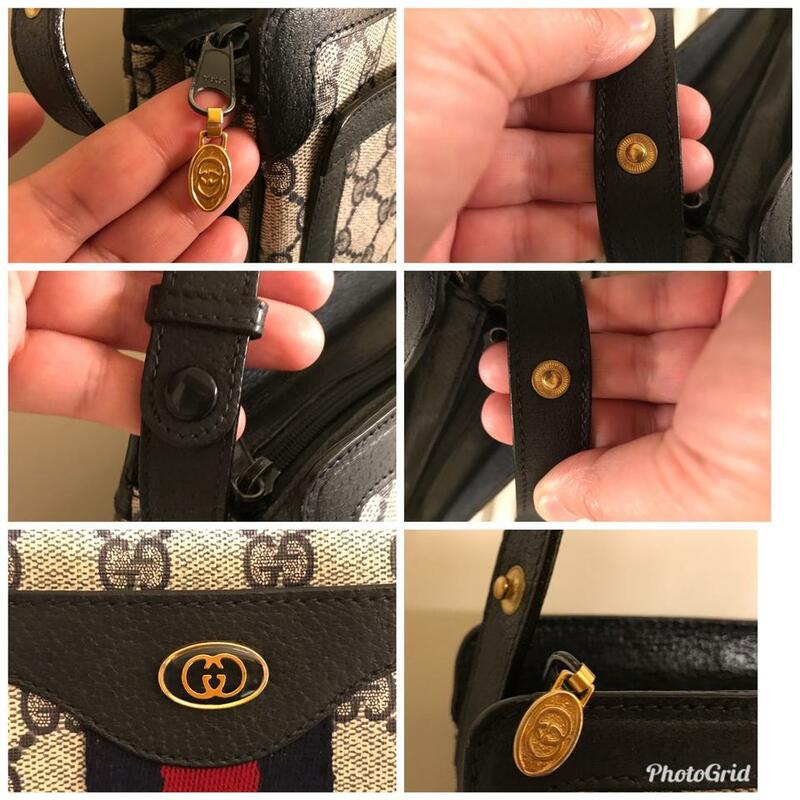 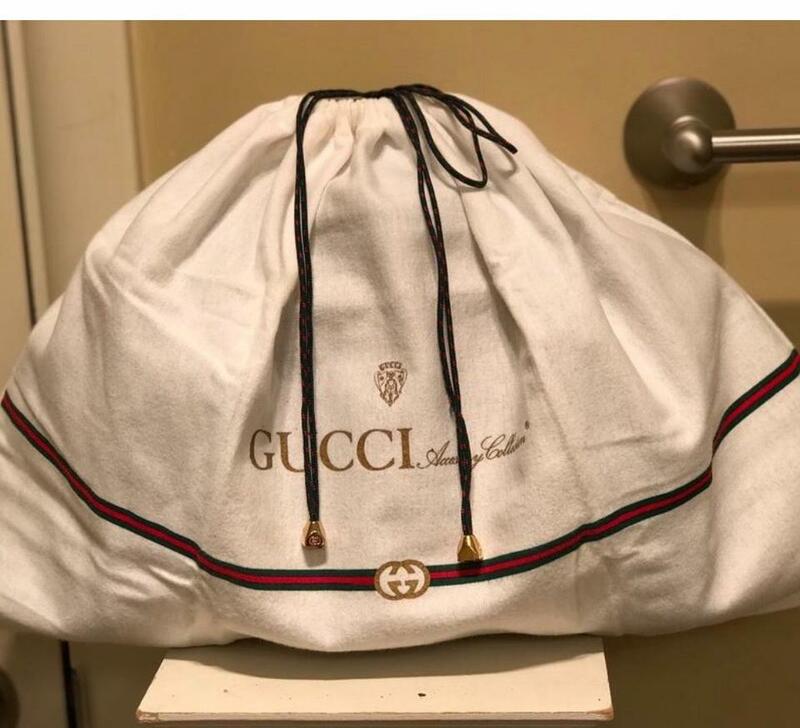 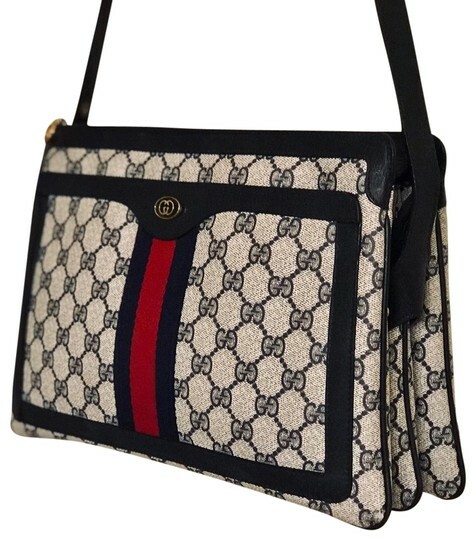 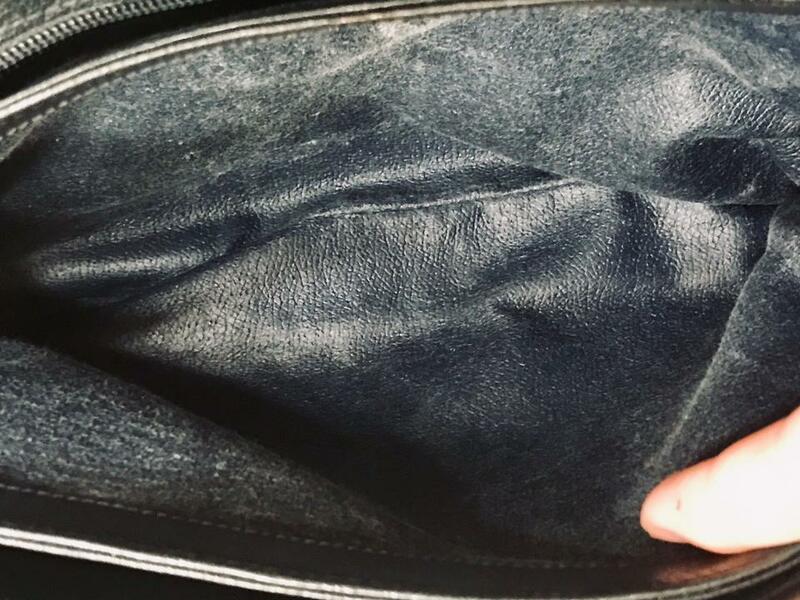 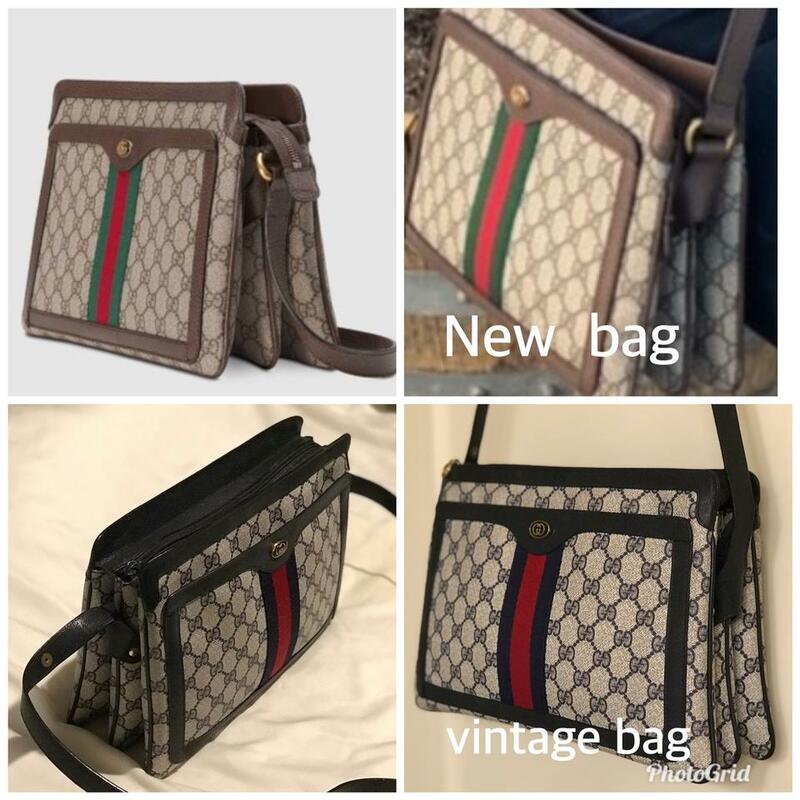 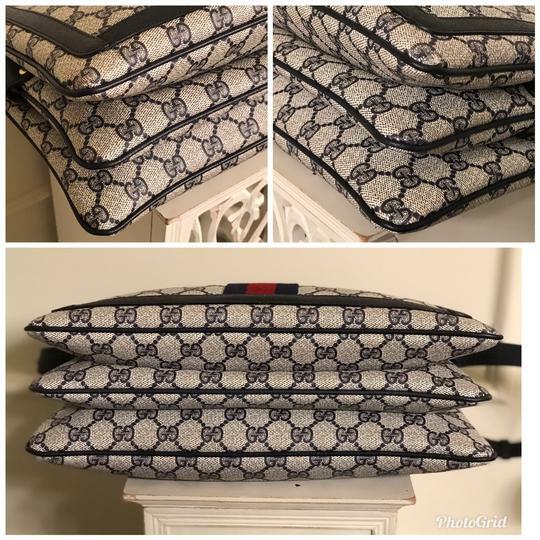 This is an authentic Gucci bag in excellent vintage preowned condition with a very light to no sign of use on the exterior of the bag , hardware still gold tone with maybe hairline scratches, normal leather aging, lining has some light scratches however its not flaking or powdering , clean no spot or stain, all piping is intact , pvc is next to new!,,,,Overall this bag is so beautiful and presentable almost looks like new,strap drop of about 16.5 inches and can slide over to adjust it shorter to about 7 inches drop! 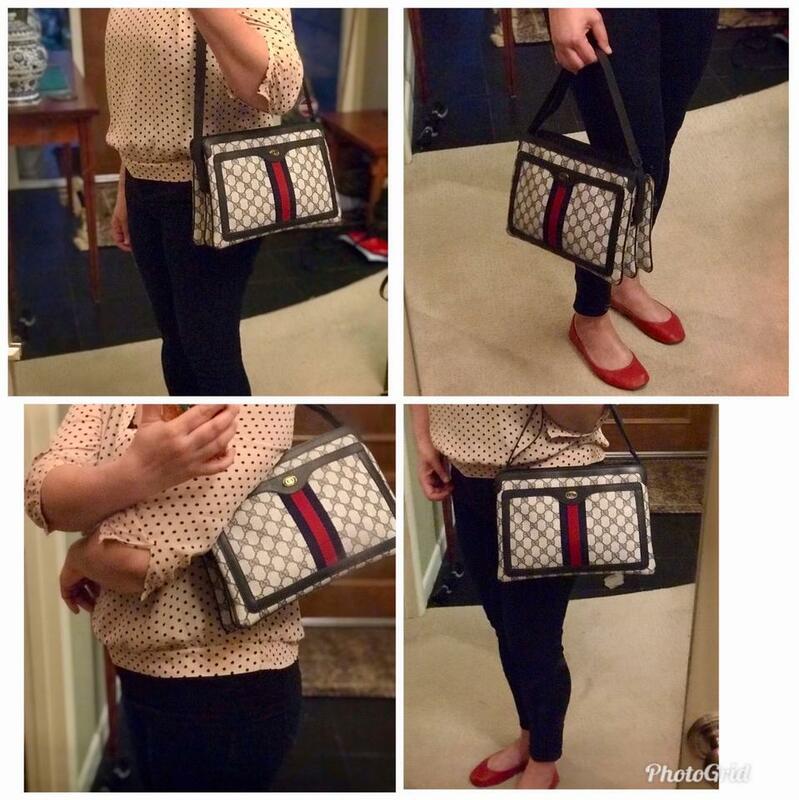 Comes with original dust bag! Features one outside slid pocket and 3 interior compartment with azipper closure. 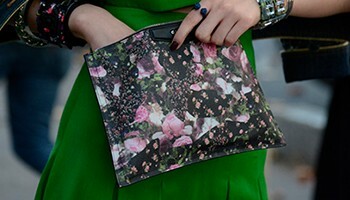 Similar style of this bag was recently relaunch!